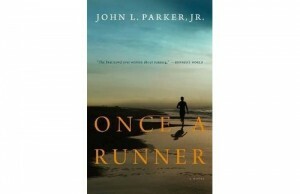 For as well as I know my only son, I never really understood him until I read John L. Parker Jr.’s Once a Runner. Mr. Parker’s novel wasn’t meant for your garden-variety joggers, or even the folks whose bumper stickers proclaim their success in marathons or half-marathons. People who appreciate Once a Runner are the ones who plan their days around “the run.” The people who have to pencil in a day off, just so they remember to take one. People like my son, Jimmy. Jimmy is one of those elite high school racers who can cover two miles faster than I can drive to the grocery store. Once, at a track meet, I got to playing solitaire on my phone while waiting for his race to begin. When the gun went off, I thought I’d just finish my game and then turn my attention to the mile he was running. When I looked up, he was crossing the finish line. Now to be clear, I am not a runner. I’ve tried, but I learned quickly that I’m the sort who needs a lot of motivation. Someone chasing me with a knife, perhaps; or else the promise of an extra dessert. So when my son encouraged me to read Once a Runner, I knew it wasn’t because I, personally, would identify with the novel, but that I would grasp the essence of what drives him. He wanted me to read it because he wanted me to know him. Thanks to Mr. Parker, I finally understood the passion and purpose Jimmy finds in running. I got a glimpse into the mind and heart of a young man whose willingness to endure pain and sacrifice is only surpassed by his desire to achieve his goals. I got that he has dreams that aren’t too lofty, and confidence that is not misplaced. It wasn’t an easy read, what with the tears dripping onto the pages of the book and all. It turns out there’s nothing more poignant than realizing your son is trying to tell you he is a man of incredible strength and determination; more focused and fearless than you could ever hope to be. It’s humbling, indeed, to read a book in which the hero is so familiar; so familial. The distance he’s covered through the past four years quite literally cannot be measured, nor can the impact of all those miles on his character. Through grueling heat and frigid cold — and every sunny and rainy day in between — Jimmy put on his running shoes and pounded the pavement, demonstrating that every worthy goal can be achieved through hard work and almost nothing else. On Sunday, we’ll watch him walk — not run — across the stage to collect his high school diploma, ending a phase in his life marked by challenges and changes. Miles of trials, as Quentin Cassidy would say, along the trial of miles. Jimmy has countless miles ahead, for as the book says, once a runner … well, you know the rest. Soon, he’s off to college, where the classes are tougher, the training more tiresome, the races longer, the competition more fierce. All that he has learned about himself will come to bear. With grace and grit, determination and the desire to be the best version of himself, Jimmy is becoming the man God is calling him to be. One mile at a time. Mile after mile after mile. “Winners forget they’re in a race, they just love to run” (Movie “With Honors”).